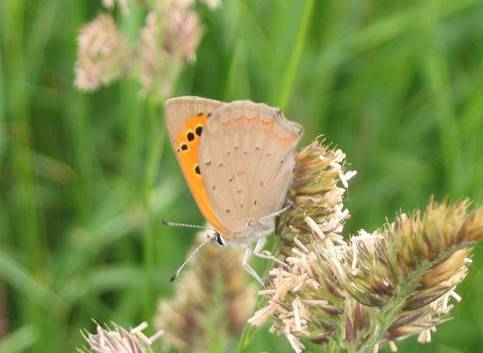 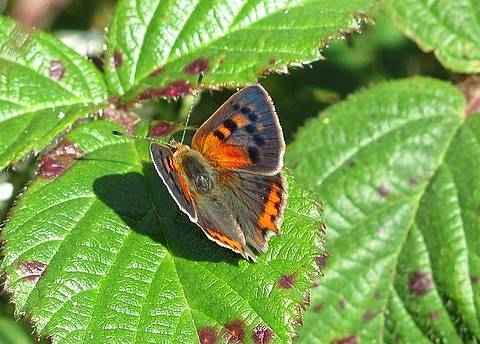 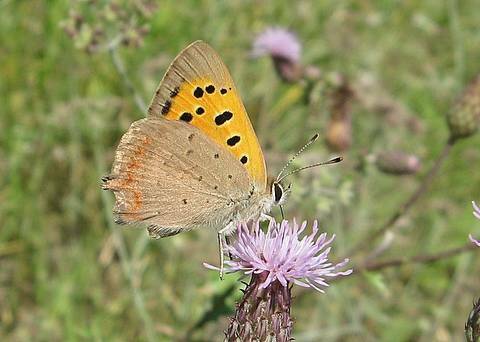 This pretty, little butterfly is by far and away the commonest of the copper family. 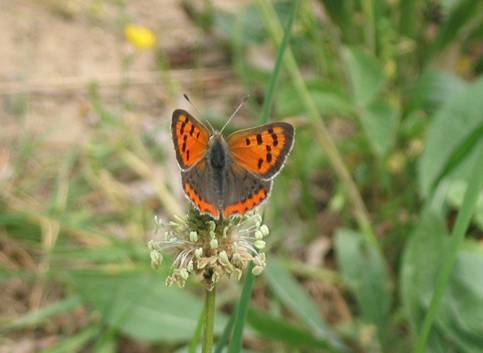 Some individuals have a row of tiny, blue spots above the orange band on the upper hindwings. 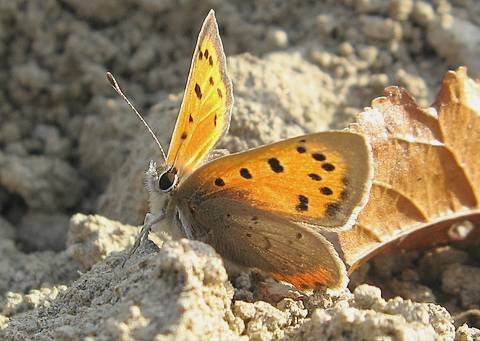 This form is known as caeruleopunctata and is encountered from time to time. 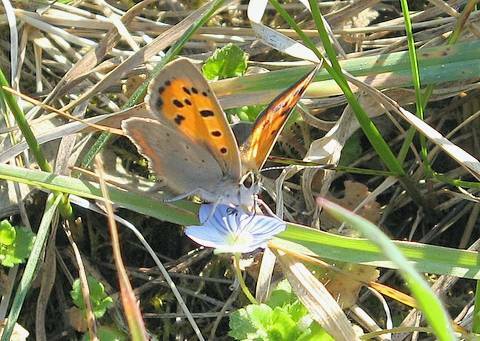 The flight is rapid but the butterfly usually settles close by and can be observed easily. 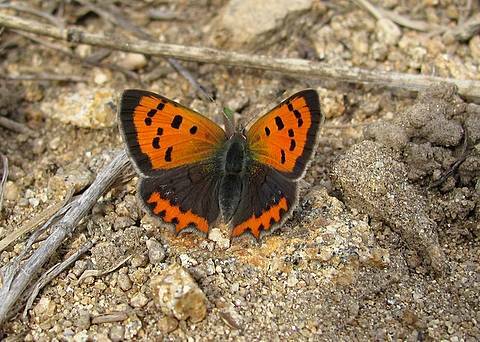 The forewings are usually bright orange but in some individuals this colouring is more suffused with brown. 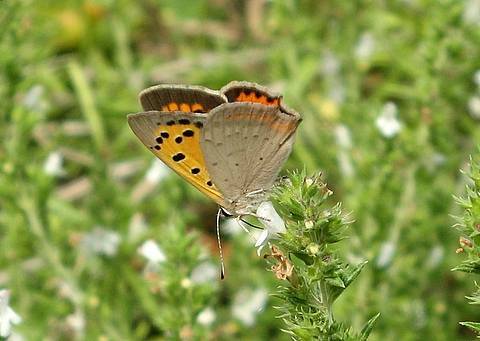 The black spots are variable in size. 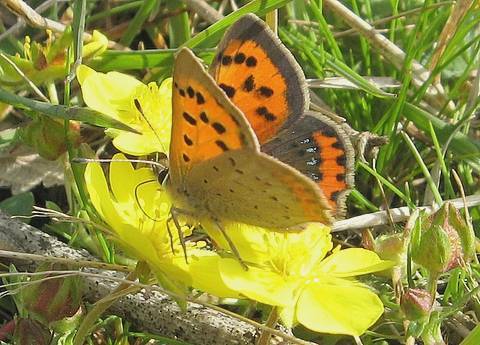 After the blisteringly hot summer of 2003 Small Coppers were constantly the most visible species and seemed to have faired best in the dry conditions. 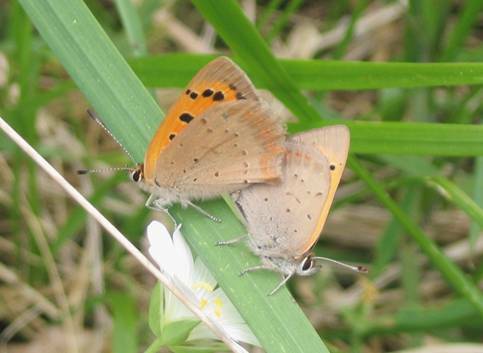 Interestingly, the species continued to be equally as common during the generally cold, wet spring of 2004 confirming that this butterfly is very adaptable to changeable climatic conditions.